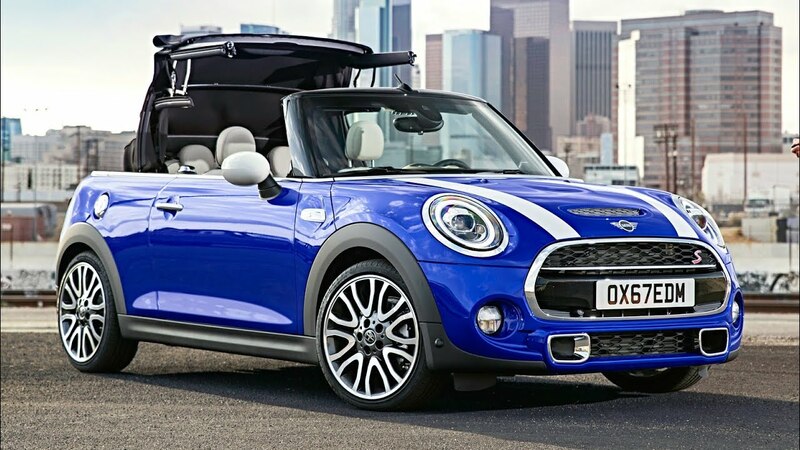 A convertible is the epitome of summertime fun, as it lets you and your passengers enjoy the sun on your face and the wind in your hair. 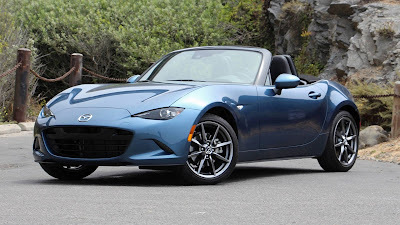 Although convertibles may seem to be made only for the well off, there are actually several new 2019 models that have been priced below $30,000, making them affordable for nearly anyone looking for a new car on an average budget. 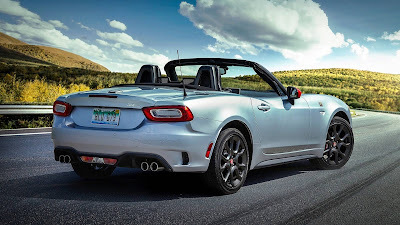 Check out these seven amazing new 2019 convertible models for under $30k, and find the right one for you. This powerful roadster comes with a great new design for 2019. It has a unique modernistic shape with great flow on the exterior and a teardrop-shaped interior with enough room for comfort. The new 2019 model has added more power to the design with an extra 26 horsepower. You can also now get 7,500 rpm thanks to lighter rods and pistons that help supercharge the drive. This iconic car comes with a spectacular convertible option in its final year. This is one of the most affordable convertibles on the market, and now is the time to snap it up. Many parts of the retro Beetle styling stay the same, but the manufacturer has modernized many features to create a safer, more comfortable drive. Changes for the 2019 model year include four trim levels with plenty of amazing equipment in the high-end models. The 2019 model comes with newly configured trim levels, all of which now come with updated infotainment systems and Apple CarPlay. Drivers love the great handling of this car as well as the elegant interior. If looking out for the environment is important to you, this may be your best option. This two-seat car is perfect for city commuting. You will love how easy it is to maneuver through traffic and how cheap it is to drive. The newest model no longer has a gasoline engine but is only electric powered. 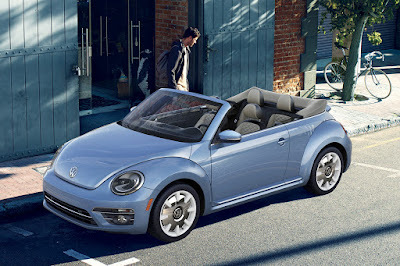 This convertible is another small but surprisingly stylish option that is also great for city and suburban driving. The new model received more horsepower along with a turbocharge. Higher-end models also got better brakes and suspension along with rearview cameras, fog lights and spoilers. The Fiat 500c is one of the most affordable convertibles available today. 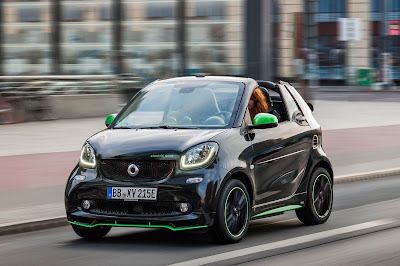 It is another small two-door car that is perfect for commuting. 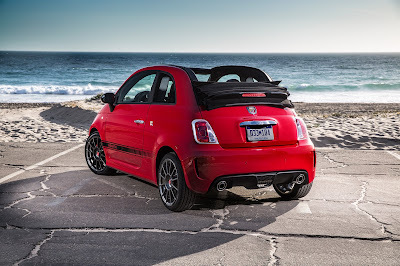 Like its sister Abarth convertible, it also received a bump in power with the turbocharge feature as well as new standard features. With the same engine as the Abarth, this Fiat Spider has great acceleration, wonderful speed and superb handling. For 2019, the Spider now comes with a rearview camera and a 7-inch touchscreen on the dashboard. Plus, its interior and exterior body were updated slightly. 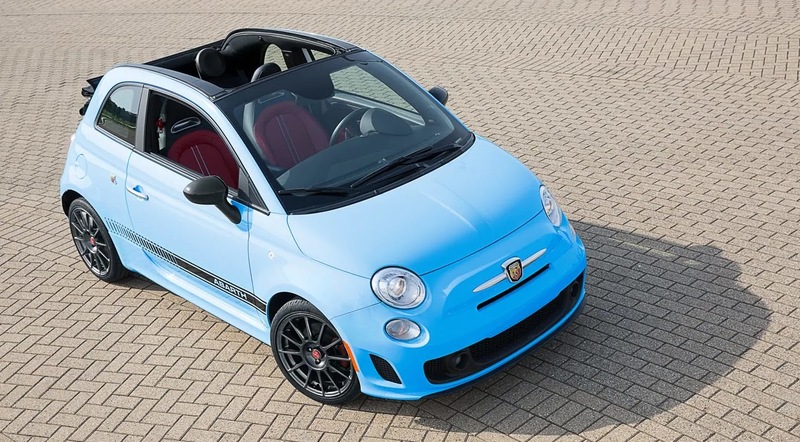 If you are in the market for a new car and are looking for something that will get you through the year in style while keeping your wallet healthy and happy, look no further than these amazing convertibles. With some of the greatest new features, wonderful fuel economy and smart new stylings, these cars give you the best of all worlds. If you’re in the market for a new or classic convertible, you may have asked yourself whether a soft-top or a hardtop is better for you. 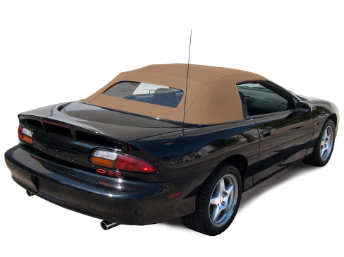 While you might have heard that hardtops are better than soft-tops due to higher noise and weather insulation, modern soft-tops actually share the same benefits as hardtop convertibles. Long gone are the days of yelling at each other to be heard and braving the cold with potential leaks in a soft-top. With modern advancements, today’s soft-tops are engineered to feature stronger insulation and longer lifetime. This means that they are more weather resistant, quieter, wind resistant and stronger, which means lower replacement costs. 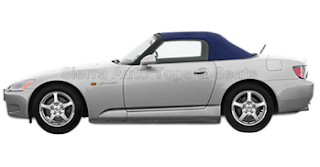 Let’s review some of the major myths associated with soft-tops in a convertible. It used to be that you had to yell at each other to be heard in a convertible due to the fact that the soft-top would let in a lot of wind and road noise. Modern soft-tops are now engineered to feature acoustic technology, which makes the cabin almost as isolated as that of a hardtop. This technology continues to improve according to Matt Williams, director of business development at Haartz, who affirmed that, “Haartz is working closely with OEMs to optimize the balance of noise-blocking material while making sure to not add extra weight to the vehicle." In fact, their sound-blocking technology has improved performance by over three decibels, making soft-tops quieter than ever before. 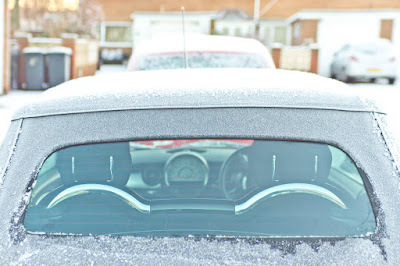 Do Soft-top Convertibles Get Hot or Cold Depending Weather? It also used to be the case that convertible owners could only drive their beloved cars in the spring and summer. 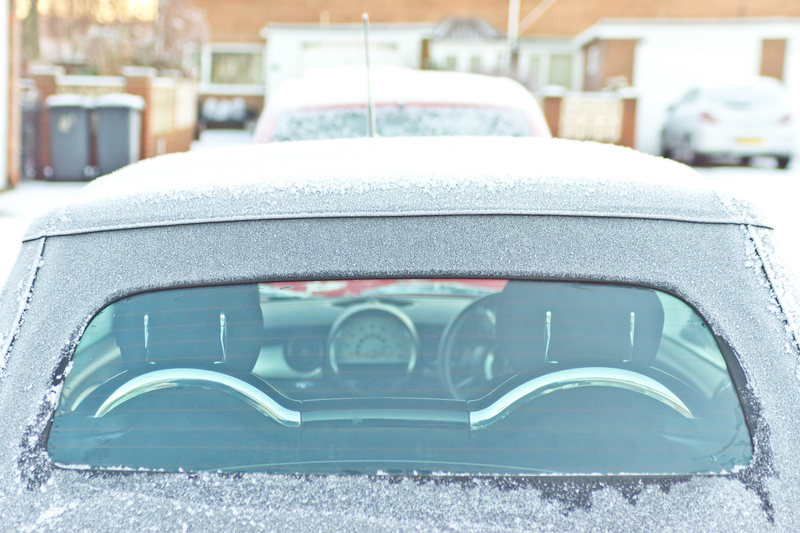 In the winter, the car was completely uninsulated from cold drafts and might even leak water and snow. However, today’s soft-tops are now engineered differently to consider these weather factors in mind. Modern technology has allowed OEM soft-tops to become just as insulated as hardtops and are completely waterproof and resistant to many other weather conditions. 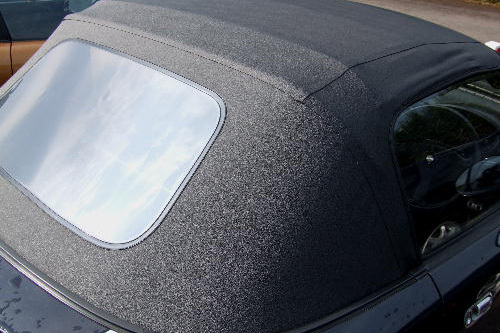 At AutoTops Direct we offer an extensive selection of weather resistant soft-tops, which fit just as well as the original part. All of our soft-tops are made with original Haartz waterproof materials, which provide premium protection against leaks. They also feature a color coordinated UV resistant polyester thread for better protection against normal wear and tear. While many think that soft-top convertibles are unsafe because they offer less protection in a rollover event, soft-top convertibles are not associated with higher death rates. According to the Insurance Institute for Highway Safety (IIHS), “death rates aren’t higher in convertibles,” as opposed to hardtop vehicles. 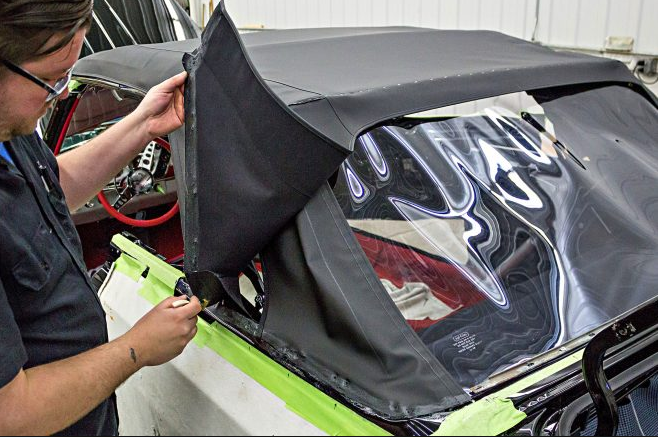 While the institute deems that, “a roof is still safer,” some convertibles are equipped with an instant rollover protection feature, which automatically raises a roll bar when the vehicle detects a rollover. This protects the passengers in the event of a fatal rollover accident. Which Top is Easier to Repair? There are two different types of cost associated with each top. 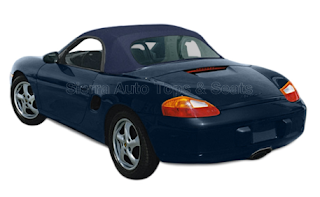 A hardtop is more expensive to buy and also has more mechanical and electrical components, which means more expensive repairs. It is also prone to cracks, which can be difficult to repair, can spread, and may require replacement sooner. 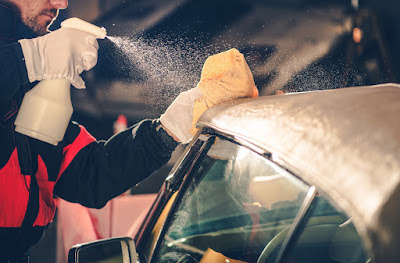 On the other hand, a soft-top doesn’t last as long as a hardtop, can be slashed and is prone to weather-related wear and tear, especially sun and hail. However, it is cheaper to buy, repair and replace. Plus, one of their modern advancements includes stronger fabric that is more resistant to the usual wear and tear of an older soft-top. Overall, soft-tops are cheaper to have due to lower initial, repair and replacement costs. In addition, because soft-tops are lighter, they increase the fuel efficiency of the vehicle. Which Top Will Give me a Higher Trade-In Value? If you’re wondering which car will result in a higher trade-in value once you’re ready to move on to a different vehicle, both hardtop and soft-top convertibles will actually yield the same trade-in value. 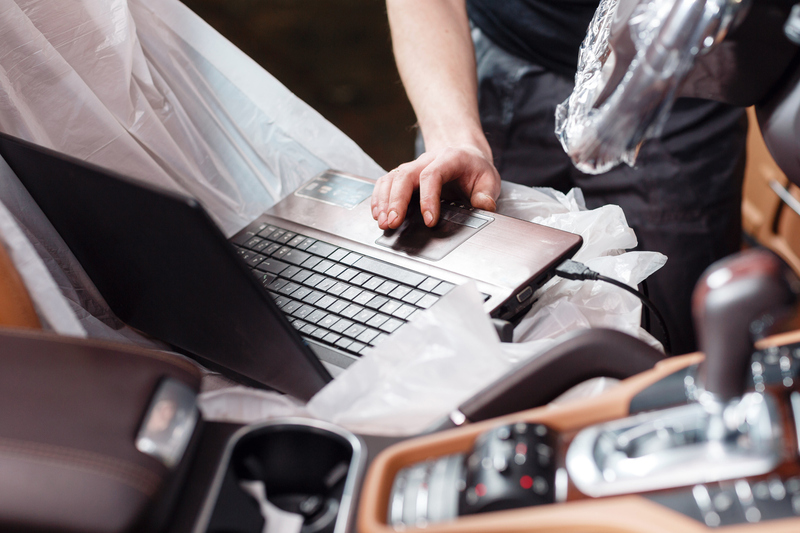 Car dealerships and online appraisal sites such as Kelly Blue Book typically don’t consider whether the vehicle has a hardtop or a soft-top and classify both under the same category of, “convertible” during the appraisal. Thanks to modern technology, soft-tops share the same insulation benefits of hardtops so don’t let this myth stop you from buying a classic convertible with an iconic soft-top. Besides, soft-tops can take away from the classic look of a convertible, which let’s be honest, it's half the reason you want to buy a convertible. If you’re replacing a convertible top or restoring a classic car for the first time, you’re in for a surprise. 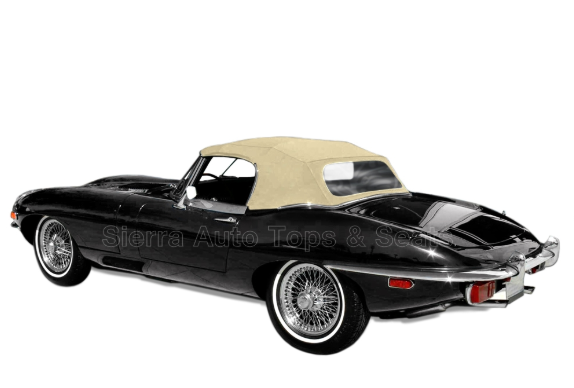 There are a lot of options in convertible-top fabrics, each with its own specific benefits, style, and more. Hopefully, this guide will steer you in the right direction. Everflex is high-quality convertible-top material. It is manufactured in England and was primarily used on classic luxury cars like Rolls-Royces, Bentleys and Jaguars from the 1960s to the 1980s. At the height of its popularity, it was featured on the Rolls-Royce Silver Shadow. Everflex is similar to colonial-grain vinyl, but it’s more durable and more expensive. Pinpoint, also known as single-texture vinyl, is the most popular and least expensive convertible-top fabric. The two-ply composite was original to many American cars made during the ’50s through the ’80s. It was also common on some European cars like the Volkswagen Beetle. Pinpoint vinyl is constructed with an outer layer of PVC and an inner layer of dyed, 100-percent-cotton sateen. It gets its name from the tiny pips covering its surface. You may mistake it for Eurotop at first glance. It performs surprisingly well even though it costs less than most other toppings. This superior-quality imported fabric is sometimes referred to as Original German, Sonnenland or A5. It is common on BMWs, Aston Martins, Volkswagen Beetles, Mercedes Benzes, Volvo C70s, Saab 9-3s, and Porsche Cabriolets and Boxters. Its three-ply construction includes a twill-weave, polyester-acrylic blend outer layer; an interior layer of butyl rubber; and a dobby-weave cotton lining in a herringbone pattern. The material is specially treated with flame to remove the downy surface and make it resistant to abrasion. The two-ply composite of PVC and cotton-polyester fabric has a reputation for being strong and durable. It’s featured on Chrysler Sebrings and LeBarons, some Ford Mustangs and other American cars. Both pinpoint vinyl and sailcloth vinyl are made to look like canvas. However, the sailcloth’s bumpy texture is spread out rather than closely woven like the dimples on the pinpoint. As a result, it more closely resembles woven cloth. This American-made canvas is an affordable, high-quality substitute for German Classic. It also features the dobby-weave backing. 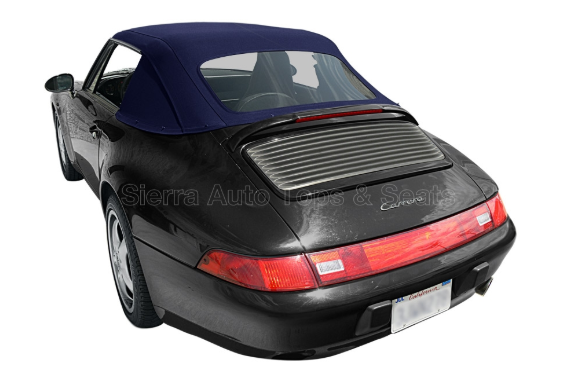 The exterior fabric is a twill weave, and the inner layer is an elastomeric polymer. Sonnendeck is also sold as Twillfast, but some Twillfast products have a five-ply construction. The basic brand is original to BMW 6 Series cars, Ford Mustangs, Chevy Camaros, Fiat 500s, Peugeot 108s and many others. 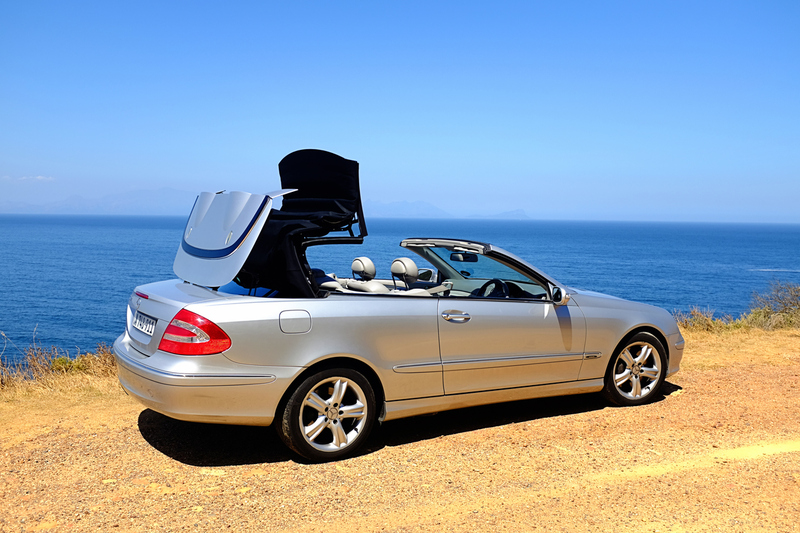 Sonnendeck has recently become more popular among European convertible-top manufacturers. Stayfast canvas is a lot like Sonnendeck, but the backing is smooth rather than textured. It’s classy-looking and durable thanks to its rubber core. Stayfast was original to Chevy Camaros, Pontiac Firebirds, Dodge Vipers and other sporty American cars. Foreign cars featuring Stayfast include Nissan 370Zs, Toyota Celicas, Mazda Miatas, Alfa Romeo Spiders and Peugeot 306s. This heavy-duty material is also known as HV denim, twill-weave vinyl or twill-grain vinyl. It can stand up to lots of abuse. It’s constructed with an outer layer of PVC and an inner layer of blended polyester and cotton. The distinctive grain on the surface imitates the pricey toppings on luxury cars like Audis, Bentleys, BMWs, Maseratis and Rolls-Royces. It’s used as a direct replacement for original cloth tops or as an upgrade for vinyl on all types of cars. The heavy, two-ply component makes for a quiet ride in Jeeps and other SUVs with removable soft tops. In some tests, it reduced noise by as much as 20 percent. Acoustic vinyl is made of PVC and 100-percent-polyester laminated backing to resist mildew, abrasions and tearing. Polyester is now the material of choice in luxury European convertibles. 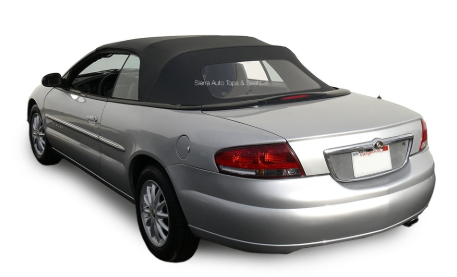 For more information on different types of convertible tops and tops for different convertible models, get in touch with AutoTopsDirect today!